Almost everyone has seen an Iron Man movie or read one of the comics he has appeared in over the years. Originally created by writer/editor Stan Lee in 1963, Iron man has become one of the most beloved Marvel Comics superheroes. 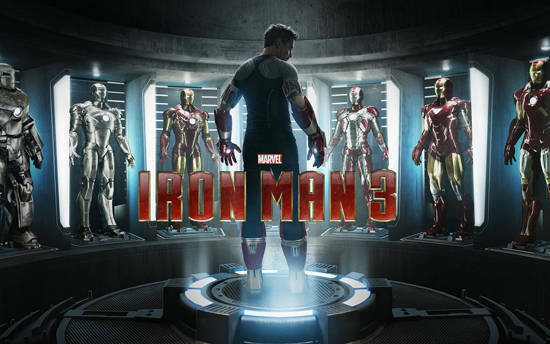 The Iron Man movie franchise is one of the highest grossing in the world, and the latest installment in the series, Iron Man 3, brought in more than $1.2 billion. Although it premiered in the summer of 2013, the movie is set during the Christmas season. So, of course, the set decoration department reached out to us, the Christmas experts, for our opinions and set design ideas. After a few meetings in early 2012, we began working on some different decorations for the movie, including a giant poinsettia tree and miscellaneous silver trees. The set decoration department needed several of the silver trees for a main action sequence. They were planning on blowing them up and needed the extras in case they had to do multiple takes. We also provided shooting star light decorations for a scene that was shot outside of the Chinese Theatre on Hollywood Boulevard (See video above). The decorations were placed outside of the theatre to enhance the Christmas feel of the scene. We are all still extremely excited that we got to be a part of this project. 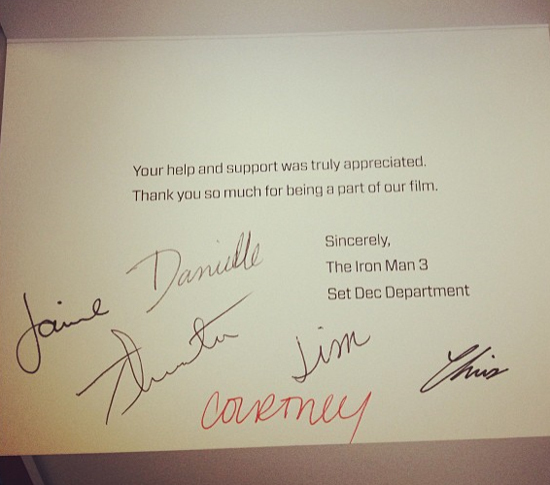 If you are one of the few people who have not seen Iron Man 3, check it out and see if you can spot some of our decorations.